NFL Outfits are coming back! You can snag these sporty outfits in the store starting on Friday, 2/1 at 7PM ET. 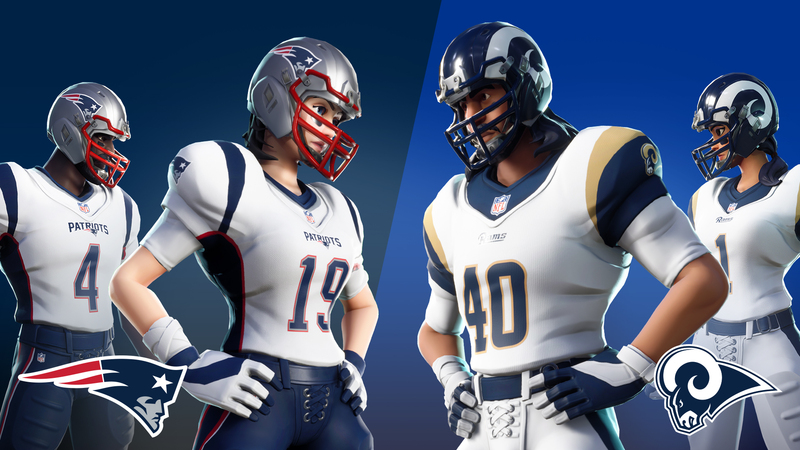 Gear up and cheer on the Patriots vs Rams with two additional Outfit styles - white uniforms for each team. And be sure and visit the item shop starting Saturday, 2/2 at 7PM ET to snag the free Pigskin Toy to prepare for the big game!